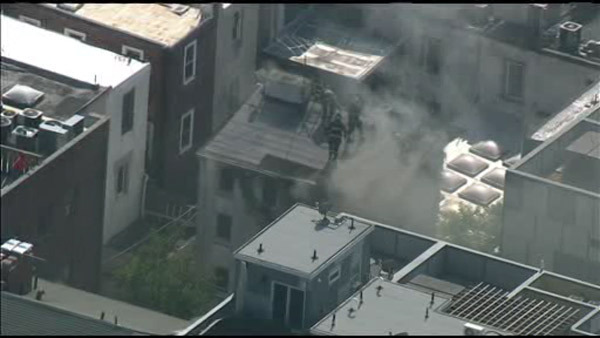 WASHINGTON SQUARE (WPVI) -- Philadelphia firefighters battled a house fire in Washington Square. It happened shortly after 4 p.m. Tuesday on the 100 block of Naudain Street. Firefighters were called for smoke showing from a three-story home. A firefighter was injured during the fire. The severity of the injury is not known. The fire was placed under control around 4:40 p.m.